The Technical Studies-Journeyworker program provides students who have completed a registered apprenticeship program an option to receive an associate degree designed around individual needs. The Journeyworker Associate of Applied Science (AAS) degree is a 60 credit degree designed for individuals seeking academic recognition for the completion of a registered apprenticeship. It is intended to support lifelong learning and accelerate the achievement of individual career goals. Possess a Wisconsin Apprenticeship Completion Certificate issued by the Department of Workforce Development-Bureau of Apprenticeship Standards registered program which includes a minimum of 400 hours of prescribed apprentice related technical instruction in the Wisconsin Technical College System. Complete all prescribed WTCS apprentice related technical instruction. Possession of the DWD-BAS Wisconsin Apprenticeship Completion Certificate AND successful completion of all prescribed coursework fulfills the 39 credit minimum technical studies requirement of the Technical Studies – Journeyworker Associate of Applied Science degree. Meet the WTCS Associate of Applied Science Degree requirement for a minimum of 21 credits of General Education. Complete at least 25% of the total program credits through coursework undertaken at the technical college granting the AAS degree and meet any institutional graduation requirements. A WTCS apprenticeship program with at least 400 hours of paid related instruction (PRI) meets this threshold. The following courses and credits are needed to earn a degree in this program. Actual number of courses and credits may vary based on individual needs. Students in this program are required to take an additional 6 General Education credits. Those credits may come from the list that follows, or courses already listed above. 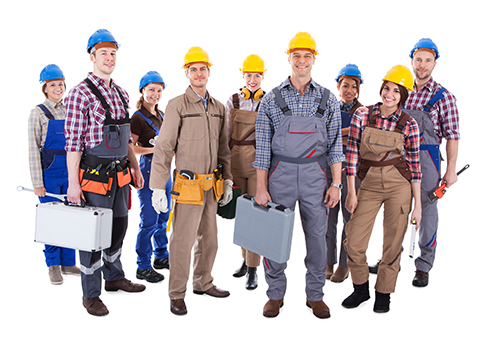 Occupational Specific Courses are met by a Wisconsin Apprenticeship Completion Certificate, issued by the Department of Workforce Development-Bureau of Apprenticeship Standards (DWD-BAS) registered program. The program must include a minimum of 400 hours of prescribed apprentice-related instruction in the Wisconsin Technical College System. This program provides students who have completed a registered apprenticeship program an option to receive an associate degree designed around individual needs. This program will be designed for each individual student. Career opportunities will depend on the courses that are selected to meet the student's career goals. It is anticipated that a student will design a program plan that will meet the requirements of a particular career area.